As construction projects increasingly turn to repurposing abandoned wasteland and redeveloping brownfield sites, Fellows International the UK’s Unexploded Ordnance (UXO) specialist, is playing a vital role in ensuring sites are safe for development. With its Detailed Risk Assessments (DRAs), Fellows provides developers with a site-specific source of information that considers the potential risks of UXO. As an initial phase of the risk management process, the assessment enables Fellows and the client to estimate the likelihood of a UXO hazard being discovered at a site. Taken into consideration is the development proposed and the construction methods to be employed. Fellows Lead UXO Researcher Nathan Oakes, and other researchers on the team, analyse historical information regarding site location, previous site development, wartime bombing records and military history. This information is considered along with site specific geology and ground conditions to assess the depth to which unexploded ordnance may have penetrated. When all research has been gathered and analysed, a clear and concise document is compiled for the client. This provides an invaluable overview either providing an indication that development is safe to continue or, where appropriate, concluding with recommended further actions. 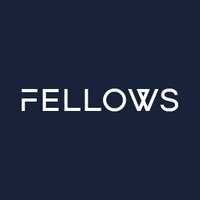 Depending on individual site circumstances, a Fellows' DRA can be produced in approximately ten working days and has been cited by numerous developers as an extremely worthwhile investment. For more information or answers to any queries, please email research@fellowsint.com.